Take a look at the two watches above. Do you immediately become envious, realizing you must add a watch like either of these to your collection? If so, you are not alone. Many watch collectors get excited over vintage watches as these watches come with a story and show off the quality work of the brand. Every true watch enthusiast needs a vintage watch. Interest in the vintage watch world is increasing rapidly. What Makes a Watch Vintage? Most collectors consider watches that are older than 1985 to be vintage. Vintage watches should show an appropriate amount of aging with some patina on the dial. If the watch doesn’t look vintage, then what is the point of buying vintage? In the watches above, you can tell that the dial has aged, giving the watch an older look. However, it is important to have the movement of the watch checked out by a watchmaker to make sure that it is still working properly and keeping accurate time. The older a vintage watch the rarer it is, increasing its demand among collectors. Many watch collectors spend a significant amount of time and energy searching for the perfect vintage watch. What is the point? Why buy vintage? 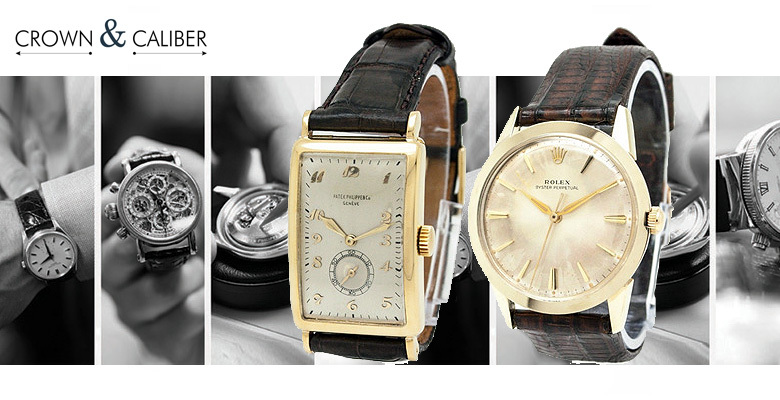 For those collectors that want a vintage watch, they appreciate the watch’s significance and history. They don’t want the same brand new watch that every other watch enthusiast wears. They want a timepiece that has a story. 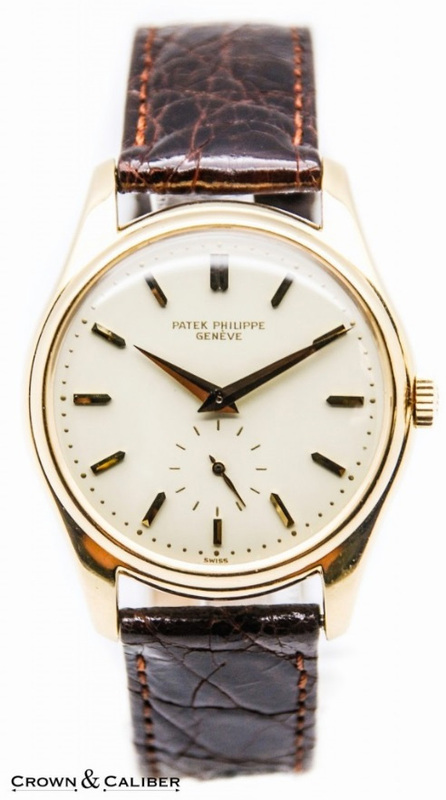 Take for instance the Patek Philippe Calatrava 2526. This model was the brand’s first watch with an automatic movement and, therefore, has a significant historical value in the world of horology. Watches like this one can often increase in value over the years and can be sold for significantly more money than their original price. However, this in an exception and most watches cannot be re-sold for more money. But watches like the Calatrava 2526 come with a story and that attracts many watch enthusiasts, encouraging them to buy a vintage watch. Vintage watches are special because they are not something you will see every day. When a brand new watch model comes out, anyone with enough money can go to their local authorized retailer and purchase. That is not the case with a vintage watch. A vintage watch is not something you see every day. With vintage watches, watch collectors have to spend time searching for them because they can’t be found at any local retailer. These watches are unique and you may never meet another person with the same vintage watch. However, buying vintage is no easy task. Once you have decided to go the vintage route, you must be ready to commit a significant amount of time and energy to purchasing the right vintage watch. But in the end, it will definitely be worth the hard work. There are many things to consider before purchasing what you think might be the perfect vintage watch. At Crown & Caliber, we work with many vintage watches each week and believe that we have more than enough experience in the world of vintage watches to be able to offer advice on the subject. So, for your own benefit, take a look at some of the tips we have below before diving into the vintage watch world. Narrow down your choices to three or so and then take some time and do some research to narrow it down to just one. Many watch collectors seek advice on different watch forums and read advice from different watch blogs. While outsiders can give great advice, the most important thing is to purchase the watch that you want. You are the one that has to wear it and spend the money on it. If you do not have a specific vintage watch in mind, that is just fine. After deciding where to purchase a watch, you can look through their inventory of vintage watches and decide which one you would like to purchase. Vintage Watches – Decide on a watch…. There are many places where one can purchase a vintage watch: auction houses, individuals online, a retail store, or from Crown & Caliber. Auction houses charge a very high buyer’s premium, there is a lot of opportunity for scam and fraud when dealing with an individual online, and a retail store will charge higher prices to cover their overhead expenses. At Crown & Caliber, we don’t have overhead costs so we can charge more reasonable prices and because our fee is lower than other selling options, our Consignment service is beneficial to both the buyer and seller. Once you have decided what vintage watch you would like and from where you want to purchase it, you need to start looking for it. Because vintage watches are rare, they can be very difficult to find, so be prepared to do a lot of research. 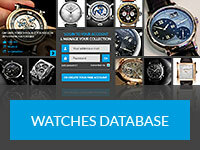 After locating the watch you would like to purchase, it is important to research the specific watch. If possible, ask to have a watchmaker remove the case so that you can see the movement. If you can’t see it in person before purchasing it, you should ask for detailed pictures from every angle and ask to have it authenticated. If all of this checks out, then it is most likely a great purchase. Now that you have verified that the watch is authenticate, work with the owner to decide on a price that you are comfortable with. The price should accurately affect the age, condition, and important of the vintage watch. Congratulations! You now know how to purchase the perfect vintage watch. Hopefully these tips can help you in the process. Happy vintage watch hunting! Crown & Caliber is the nation’s preferred way to sell a luxury watch. Our Consignment Program allows us to work with the watch owner to sell their watch through our easy and secure process. Customers can submit a quote to our online quote form and will hear back from us within three business with an offer. After accepting our offer, we send the customer pre-paid and insured packaging materials for them to send their watch it. Once we receive it in our facilities, we will clean, service (if needed), photograph, and list the watch for sale. The watch is placed in front of 40,000+ interested buyers, ensuring that we sell the watch for the highest value. Crown & Caliber is hands down the easiest way to sell a luxury watch.